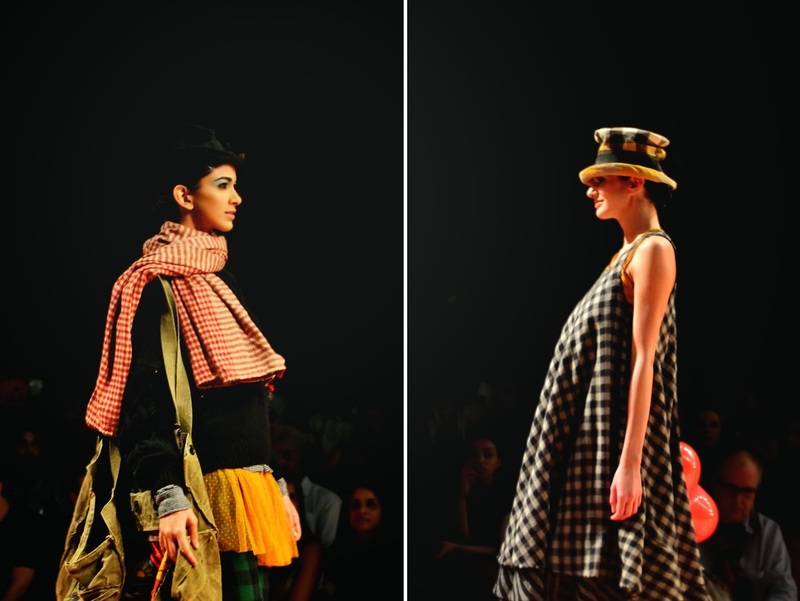 Vogue India’s Fashion Fund winner, Pero by Aneeth Arora’s show at 21st edition of Wills India Fashion Week was one of the season’s most awaited shows. Aneeth, a designer known for easy-to-wear silhouettes continued to use her classic outlines. She kick started her circus-themed Autumn Winter 13 show with the models walking in from the opposite end of the ramp on the music of Doo Dah by Cartoons. Her being a textile graduate and her love for Indian textile was evident and merino wool jackets were teamed with wool jumpsuits while cashmere sweaters were pulled over cotton trousers. Overall experience was very cute in terms of her having body painters, who painted cute little hearts on the guest’s faces and arms and her inviting the working ladies who were the true backbone of the collection. 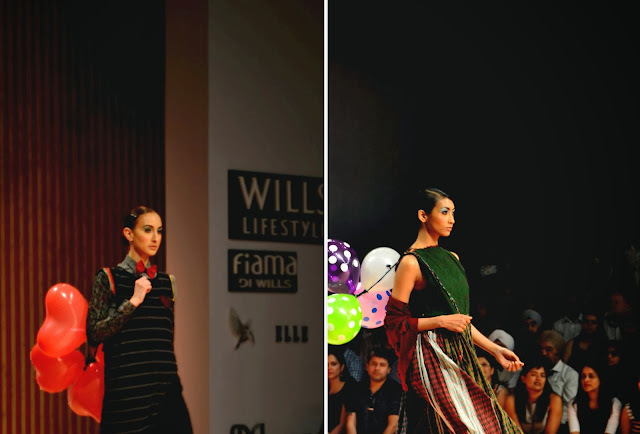 She is showing her Spring Summer 2014 collection at Wills India Fashion Week on October 14, 2013 at 8:15 PM.